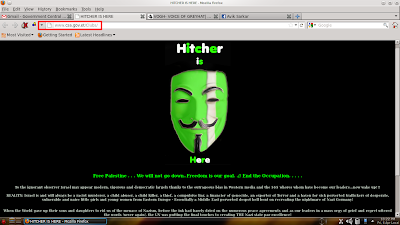 Not only Anonymous but also a well know hacker from Pakistan Cyber Force (PCF) named Hitcher joined the China rampage. Today he has blown more than one hundred of Chinese Govt. websites. The list of all those hacked sites with deface mirror can be found on a pasie release by the hacker. Not only China Govt but also the official website of Central Statistical Agency of Government of Ethiopia (CSA) get compromised in this attack. The hacker has also created a deface mirror in Zone-Hack. 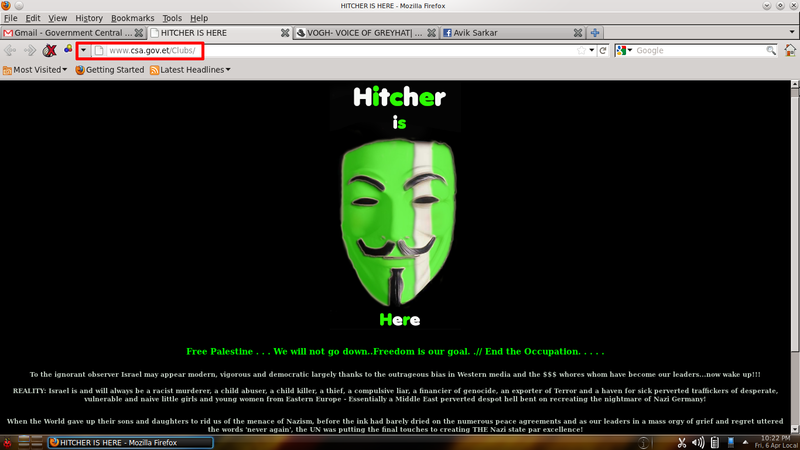 Hitcher is widely known for defacing high profile websites, his last two hack was United Bank of India & IDBI Paisabuilder.